I looked at a friends Facebook timeline today and found myself comparing, wishing and wanting. Comparison is truly the thief of joy. Then later, I opened a gift I was meant to fetch in January but was only in the area today to collect. The universe has a funny way, for the message received is far for meaningful and apt today. I’m so grateful. A sentimental, special gift of mala beads from my sister, @vickystephens now living in Marco Island, Florida, USA. She is a Yoga Goddess. The missing of you is everywhere. From seeing the Ponte building, to Creme Soda and Fontana chicken pies at 2am on the pavement in Hillbrow. 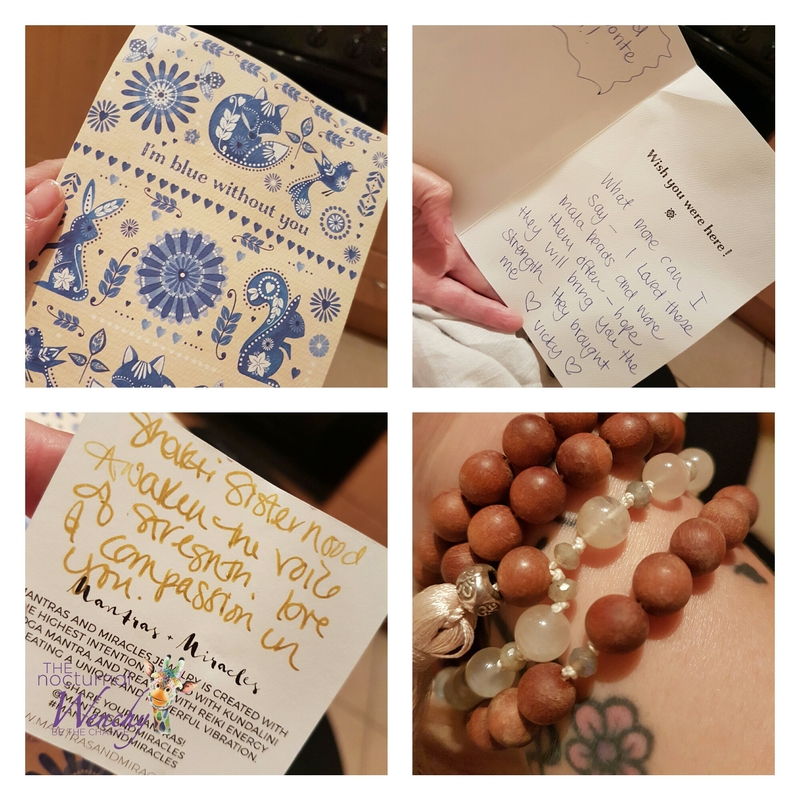 As I smell the wooden beads, hold in my hand what have been in yours, it brings an overwhelming feeling of gratitude, joy, connection and a love, a friendship that has never failed me. I am exceedingly blessed to be loved by you. I can only ask forgiveness for wanting the worldly things I longed to have earlier today. I may never again have what was once my joy, but some have never been loved with the depth and length that I have. Previous Article New every morning.